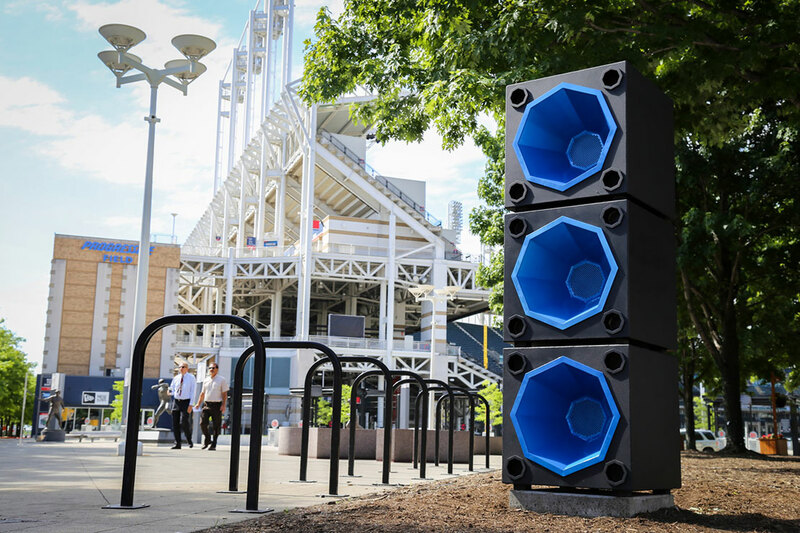 ROCK BOX is a series of interactive permanent outdoor installations along East 9th Street in downtown Cleveland, consisting of multiple clusters of custom speakers. 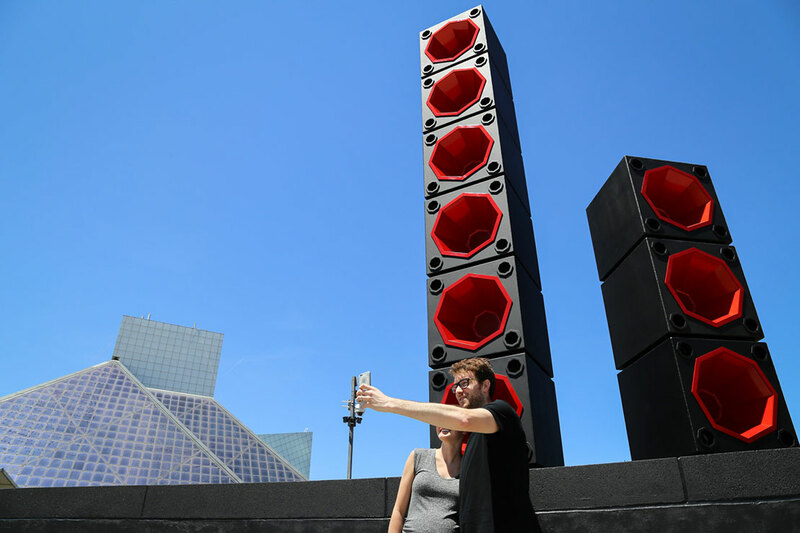 Designed by Cleveland Institute of Art graduate Mark Reigelman II, ROCK BOX extends the Rock and Roll Hall of Fame and Museum experience into downtown Cleveland enlivening the pedestrian experience by playing random songs at set intervals. CEI was contacted by LAND studio to help with this project. 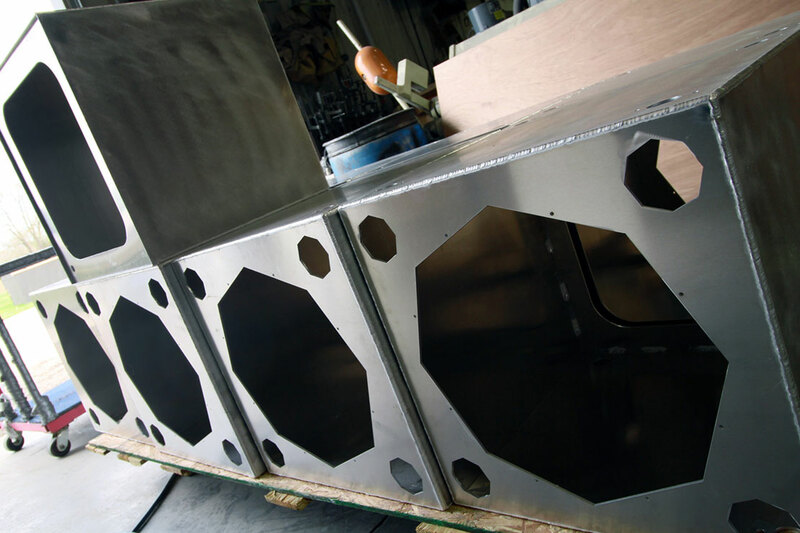 LAND studio was looking for a fabrication company that could bring Mark’s vision to life year-round in the harsh weather environment found along Lake Erie. 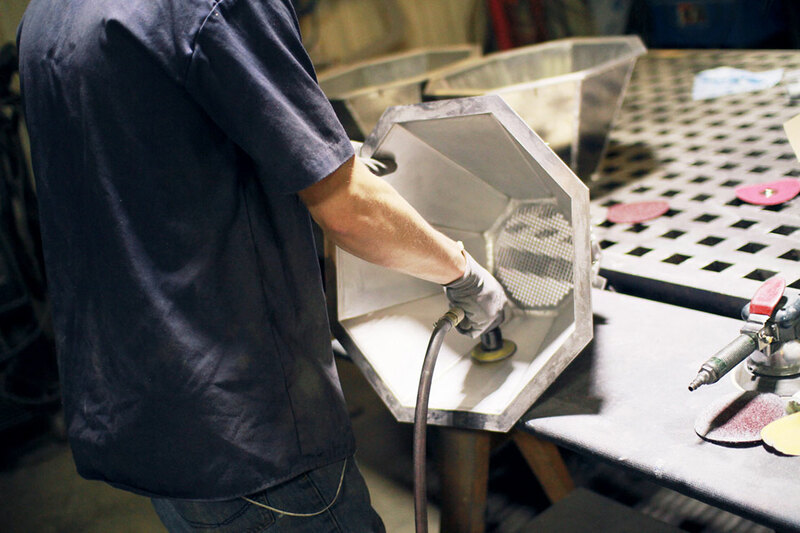 The final hardware needed to be durable, vibrant and produce excellent sound quality. CEI worked collaboratively with LAND studio, Rock and Roll Hall of Fame, and Mark Reigelman II to understand the objectives of the project. We met internally with experts from different disciplines to make sure we were using the most durable and appropriate materials for this project. We utilized specialized construction techniques to create a black textured powder coated aluminum exterior speaker that would hold up against weathering. 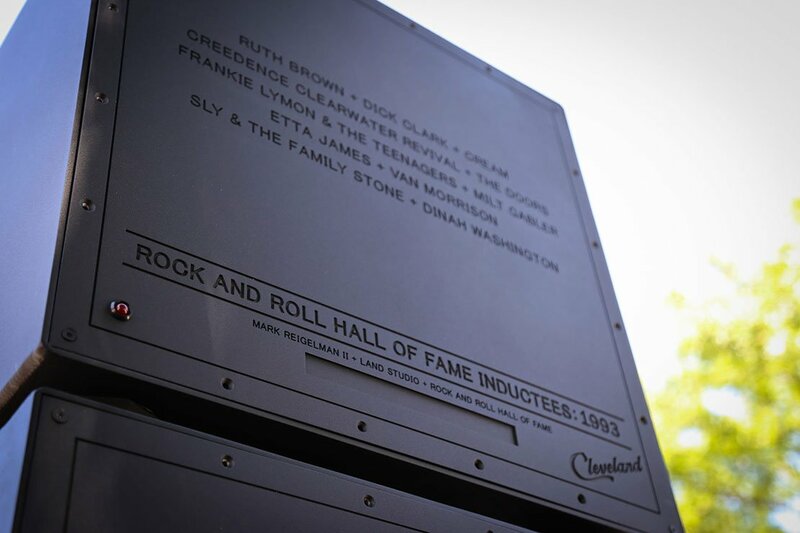 Each speaker includes a nameplate recognizing various musicians from the Rock and Roll Hall of Fame. 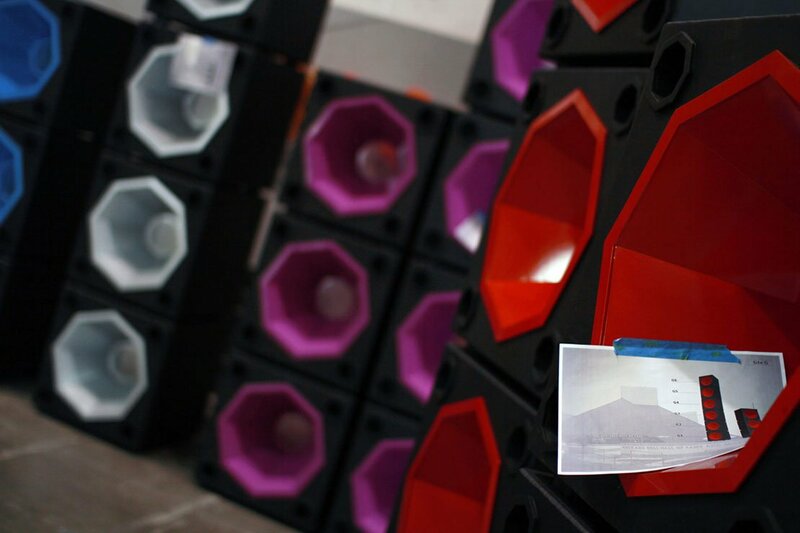 The colorful speakers’ centers are also a powder coated aluminum, custom colored to Mark’s specification. Each cluster installed on East 9th Street had a different color center bringing a vibrant flavor to the installation. CEI also supervised and managed the delivery and installation along East 9th Street. 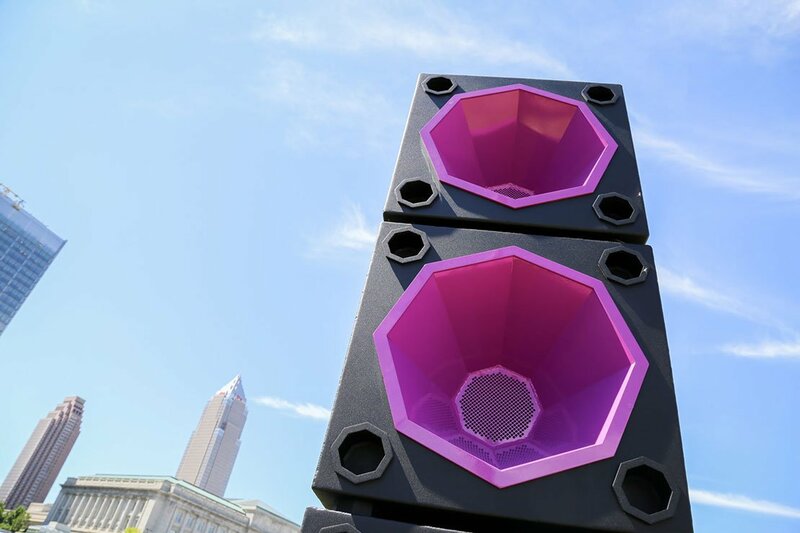 From concept to finished product and beyond these custom fabricated speakers take on an attractive personality all their own through the application of texture, color treatments, and projected sound.